There is a clunking noise when turning at low speeds. My mechanic says there is a defect in the design of the steering shaft. He said this commonly occurs with this model Highlander, something supported by numerous complaints about the same issue. Toyota denies responsibility and won’t issue a recall, though it is a safety risk. When turning the right the steering was making a clicking/knocking sound. I only have 30,000 miles on the car, which I have had 100,000 miles on cars and never had this issue. Apparently Toyota has diagnosed this with a bad U-joint in the steering intermediate shaft with a hefty price tag to fix. This seems like a complaint from multiple people and on multiple sites. I thing this should be looked into by Toyota and considered a recall item. Very disappointed in my Toyota right now. This problem has become so prominent that the National Highway Traffic Safety Administration has opened up an investigation into the matter. The Office of Defects Investigation received a number of complaints reporting incidents of steering column separation that occurred while adjusting the steering wheel position using the telescoping/tilt feature. The investigation opened on May 4, 2018, and is currently ongoing. Any consumer who hear noise, popping or cracking from the Highlander’s steering wheel should consider immediate repairs. While this problem may seem new to Toyota customers, it is not new to Toyota itself, who has known about the steering wheel problem in Highlanders for years, and the symptoms thereof, including popping and other noises when using the Highlander’s steering wheel. Indeed, on February 21, 2013, Toyota sent out a Technical Service Bulletin on the issue, acknowledging the problem and advising technicians that consumers reporting popping or cracking noises and letting dealers how to fix the problem. Moreover, Toyota developed a new intermediate shaft for Highlander steering wheels to address this issue. 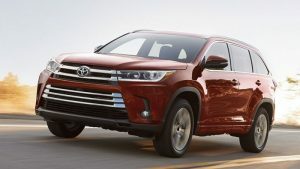 Significantly, however, Toyota has not issued any type of recall, and instead has put the onus on customers to pay for any and all repairs to their Highlanders if the steering column’s shaft requires replacement. Considering how much money these vehicles cost, it is inconceivable that they have such fundamental problems. If you own one of the affected vehicles—2008-2013 Highlander HV, 2008-2013 Highlander—and have experienced noises—including popping and cracking—when turning the Highlander’s steering wheel, you should look into hiring an attorney to get back your money. For its part, the national Plaintiffs’ firm Cafferty Clobes Meriwether Sprengel LLP is investigating Toyota’s behavior, and would be happy to take your call to discuss any potential claims you may have.